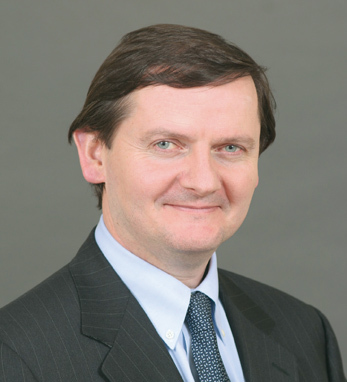 In January 2008, Noel B. Donohoe was named co-chief risk officer of Merrill Lynch. Prior to joining Merrill Lynch, Donohoe, who has more than 20 years of risk management experience in the financial services industry, was chief operating officer and a partner of Dune Capital Management, working with risk management, finance, investor reporting and operations. Before Dune Capital Management, he was with Goldman Sachs, where he was head of Firmwide Risk and responsible for global market risk across all the trading and private equity businesses. Donohoe graduated with a Bachelor of Commerce from University College Dublin, and is a fellow of the Institute of Chartered Accountants in Ireland. Born in Monaghan, he makes a point to travel back to Ireland for at least two weeks each summer. Donohoe believes his Irish upbringing has played an important part in his life, allowing him to look on the brighter side of issues, and to use humor as a way of breaking down barriers.